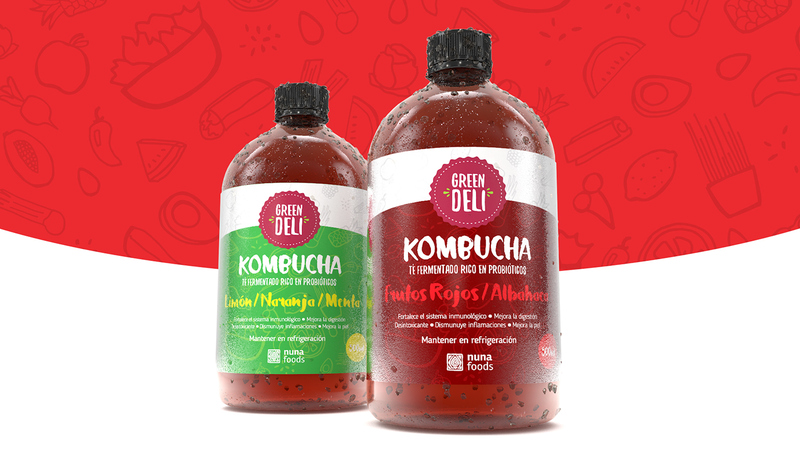 Label design for Green Deli new Kombucha tea. Kombucha is a variety of fermented, lightly effervescent sweetened black or green tea drink that are commonly intended as a functional beverage with health benefits. In 2016 they launch their own line, and we design the labels.